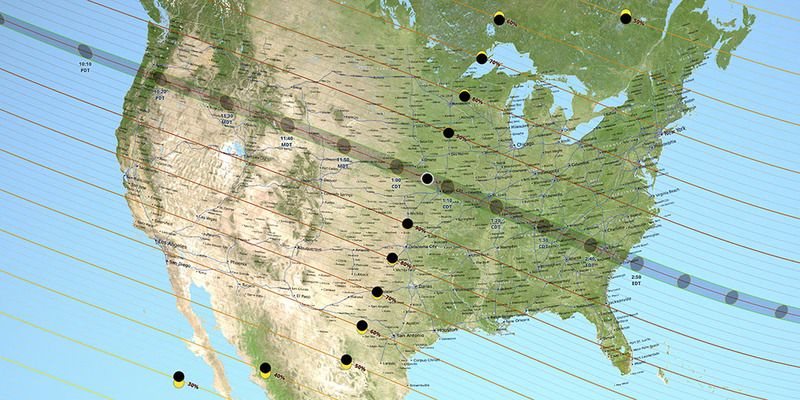 A total solar eclipse will occur on Monday, August 21, 2017! In Wisconsin, we will only experience a partial solar eclipse, but we will have a viewing event at Harrington Beach State Park from 11am – 3pm. The path of totality is a band approximately 70 miles wide that stretches from Salem, OR to Charleston, SC. Rather than re-create all of the excellent Internet resources already available, we are providing links to more information. Explore what’s out there and if you have questions or would like to arrange an Eclipse 2017 presentation for your group, you can always contact us — we’re happy to help!